Elements of Classical Indian, Bellydance, Modern, Hip-hop and more... watch it all the way through. Absolutely incredible ... Happy New Year everyone! Part II of Sophie Schouwenaar's journey into the world of Sabar. One time when I climbed on stage to dance during Viviane Ndour’s concert, I was noticed my somebody know in his turn informed one of Senegal’s best dancers: Papa Ndiaye Thiou. He called me and we would meet at Yengoulène (Center of African Culture in Senegal, a home for dancing, singing, for music and all other traditional African arts in Dakar) where Alioune Mbaye Nder was to perform that evening. I had seen him in practically all video clips back in Holland and I had even secretly told myself that if I was to meet him, one of my dreams would come true. I arrived in a taxi wearing impossible Senegalese high heels and a new combination of the few clothes a took with me to Senegal. As elegant as possible I tried to approach the group of boys standing on the other side of Yengoulène (probably not to be seen since Pape Ndiaye’s presence evokes screaming masses). Seeing someone in a video clip is definitely very different. On top of that, Pape Ndiaye cut his dreadlocks. Thank God I guessed right when one of them asked me to point Pape Ndiaye. I figured he would be the one with the biggest chain around his neck and the most expensive jeans from Europe. I was right. When we went in, we were immediately accompanied to the VIP room, up the stairs. Everybody was looking up since rumours spread that Pape Ndiaye would be there. Alioune called forward his friend and Pape Ndiaye took the mike after making some spectacular dance steps with his one best dancer Pape Ndiaye Gambie (named after Pape Ndiaye and from Gambian origin). Writing this down, I can still feel the adrenaline when Pape Ndiaye would call me forward. This was my audition, was I to mess it up, then I would never dance with Pape Ndiaye and his group. But everything went well, everybody told me that “toigna fi!” (more or less meaning you were the best, you broke it down). That it how it happened that I rehearsed with Pape Ndiaye and his group every day. I would wake up (bathing in sweat), exercise on the roof terrace, take my shower, walk over the beach to my family in law, eat thieboudien for lunch, take two car rapides to Pikine, rehearse till about 8 pm, chat afterwards having a Fanta cocktail and one or two cigarettes, go back with another two car rapides to Yoff. Eat, if there was something left, otherwise write down my field notes from the day, maybe go out if Pape Ndiaye would come to pick me up. Go to sleep between 2 and 6 in the morning. And that for a period of four months. I would feel very guilty at first because I thought I was messing up my research because I was only dancing. But later on I told myself that my research was about festivities, so it was very logical that my time in Dakar had plenty of festivities! In between rehearsals, performances, and the making of our two video clips, I would get to know a lot about these dancers, their problems, family ties, thoughts and feelings and the role dancing plays in their lives. Not to speak of the immense experience I had from being in Senegal for four months surrounded by only Senegalese. My basic research questions were founded upon my general thesis which poses the question of how, in relation to modernization and globalization, gender relations are being challenged and changed and how these processes are clearly visible in the scene of sabar events. Basically that meant talking to a whole range of people about the way they perceive sabar, and the degree of acception of a the phenomenon of sabar. It also meant talking to dancers about the problems they have concerning their reputation, the choices they sometimes have to make between religion and dancing and the (non)acceptation of their profession. Me, as a female sabar dancer, had some of the same problems I spoke about with my informants. For example, where I lived in Yoff, my landlady and the others living in and around the house, posed lots of questions around me going out at all given hours a day, with about seven male dancers who’d pick me up in a big car. What kind of married woman would do that? I explained to them that for my ‘work’ I had to know everything about sabar. After a while they got used to it and the rumours of me going out with Pape Ndiaye slipped to the background. Other things to gossip about became more interesting and important, apparently. Also, since the western concept of privacy was not very well applicable in Senegalese society, I could hardly close my door behind me. My housemates would ask me whether I was ill or sad. So every time I needed some privacy, I would take my laptop and make a show it of in the living room so that everybody would know I would be working. Besides the lack of privacy, I had a lot of problems making appointments and actually getting to see people. For example: rehearsal would take place at 3 pm. During the four months I spent in Senegal, we never started rehearsing before 5 or even 6 pm. 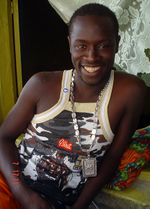 Also, since Pape Ndiaye is a celebrity in Senegal, he would come as he pleased. I don’t mean this in a bad way, because he would also arrange everything from ghetto blasters for our rehearsals to contracts for performances on stage or in video clips. But it did mean hours of waiting for me and his dancers. In general, there was a lot of waiting in Senegal. Waiting for electricity to come back so I could write on my laptop, waiting for the thieboudien to be ready, waiting for the rehearsal to take place and most of all waiting for nothing. I developed a great sense of patience in Senegal. I learned not to pose too many questions, but just to be there. I developed the same kind of passiveness in waiting as I saw Senegalese do. In fact I became kind of Senegalese. I adjusted the same kind of walk I’d always envy from Senegalese women. I didn’t hurry anymore, I thought of today only and I discovered that the only way to experience anything was just to be out there. Not to wait at home for something to happen. In Senegal, according to me, there is an energy law: if you reach out, it’s a party every single night. So despite all earthy inconveniences (heat, thirst, crowdedness, smog) I was out there. Right now, I am back in Holland. I wrote my thesis in incredible speed and graduated in January of this year. I have now started my own dance course and I am trying to find a job in which I can do something with my expertise. 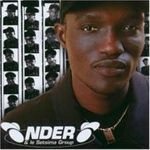 I still keep in touch with Pape Ndiaye and his dancers. Inshallah (God willing), I will go back this summer to make some nice performances! I thank all the people who helped me during my research and beyond. Sophie Schouwenaar is a 24 year old Netherlands native. She started dancing sabar three years ago, after being a salsa dance instructor and a djembe dancer. She has traveled all over the world to dance. Her experiences finally came together during her research period in Dakar, where she spent 4 months researching sabar. She is now a master in anthropology and graduated from the Universiteit van Amsterdam in January 2007. The first time I went to Senegal, I didn’t know anything about sabar dancing nor drumming. So when my teacher in the second week of our dance workshop proposed we dance sabar, I was not very enthusiastic. A typical Dutch saying is what the farmer doesn’t know, he doesn’t like. I remember quite well the drummers who started playing and my teacher telling me to ‘just respond to your inner dance impulse’. I didn’t know how to dance on these rhythms. The only thing I heard was a lot of uncoordinated noise. Later on that week we were invited to a baptème (a baptism ceremony). I was dressed up by my teacher’s wife in an yellow grand boubou in which I felt incredibly uncomfortable. The other Dutch lady who participated in the workshop felt much more at ease. I was stuck to my chair, intimidated and amazed by the women who seemed so passive would jump up out of their chairs and give an amazing, acrobatic performance. Everyone would start to scream and giggle when the other Dutch lady would jump in as well, apparently very much at ease in the setting. Another reason why I clung to my chair and during the whole baptème I wouldn’t get off it. About two years later, after having danced in Mali and Burkina Faso where I would always miss the sabar drums and the explosiveness of its dances, I went back to Senegal. This time fully equipped with a lot of experience in sabar-dancing. During my stay in Toubab Dialaw (on the coast just south of Dakar) where I took classes with one of Africa’s most renounced choreographers Germaine Acogny, I got to know her dancers very well. At the same time I entered my master’s phase in which I would have to make decisions concerning my research. I already wrote my bachelor’s thesis on dance, but in a very theoretical way. Now I decided that this would be my year, in which everything would come together. So on the third of May 2006, almost a year later, I went to Senegal to do my master’s research on sabar dancing after preparing my research proposal for months. Arriving at the airport, inhaling Senegal’s air, being surrounded my Wolof speaking people… The first thing that went through my mind was: home! I stayed in Yoff, kind of a suburb on which Dakar is in fact founded, where I rented a small room with a tiny window with only a mattress. Only months later I bought myself an air conditioner. I still don’t understand why I let myself suffer by waking up every day bathing in sweat. I chose Yoff because my family in law lives there. I thought that at the same time as my research, I might as well take the opportunity of really getting to know these lovely people. Also, Yoff is a relatively quiet place (compared to Pikine for example) and I knew it already from last year’s visit when I met this family. My eventual plan of doing my research in Toubab Dialaw changed completely. I figured that I already knew the people and the village, and that it would be an interesting place since it is a fishermen’s village where traditional gender-patterns are clearly observable. But I discovered while being there that first of all there were no sabar events taking place in Toubab Dialaw. Second, nothing happened, except for preparing thieboudien (Senegal's national dish - a rice & fish stew) every single day. Bottom end is that I got very homesick (that is to Dakar) and I couldn’t wait to go back there in the weekends to dance in the tanebeers (nightly sabar events) and nightclubs. Plans are made to change I was told during my preparation courses on the University of Amsterdam. 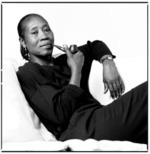 Inspired by Francoise's recent essay, Sabar is the dance in Root's spotlight. While searching for Sabar videos on YouTube, I came across a short documentary film by Dutch researcher and dancer, Sophie Schouwenaar. Shot in Dakar, Senegal as part of her master's thesis, Sophie explores the cultural meanings of Sabar. She searches for the answers to questions like how such a provacative dance can be accepted within a Muslim community, why more men are participating, and how women express their sexuality through movement. Take 10 minutes out of your day to learn about the world of Sabar. 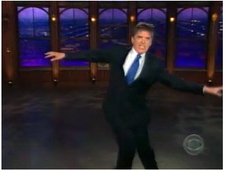 The Late Late Show's Craig Ferguson attempts Step Dancing and admits its just not his style. We respect his hilarious personal interpretation... click the pics and expand the browser window for the video. 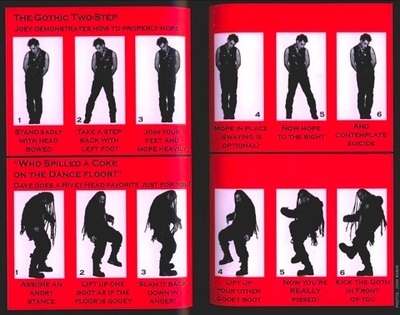 We reported back in October about Step Dancing. 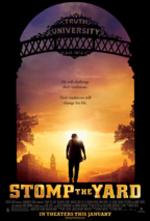 Now, the biggest movie in America is all about it. A nod must be given to choreographer Dave Scott, who skillfully blends the dance styles into an explosive whole. Seeing Stomp the Yard for these bits alone is well worth it. Personally, I am a terrible partner to dance with. I am a woman who does not like taking direction. When being taught how to salsa, Carrie, my closest friend of 20 years, yelled out in exasperation "Fine, you want to lead? LEAD!" "I love being a follower, but being able to lead, you're choreographing in the moment," Voulkos says. "We're not trying to exclude men," Coté quickly offers. "But we want the creativity of the leader side." They weren't alone in their desire for power and control in an intimate but machismo-dominated form. In 1996, a group of women from Berlin and New York began performing together as Tango Mujer, winning rave reviews from skeptical audiences. (Mujer, pronounced moo-HAIR, is Spanish for woman.) Two years ago, inspired by Tango Mujer's example, Debbie Goodwin decided she wanted to start a West Coast all-women tango troupe of her own. She called her favorite female tango dancers in town, looking for women with modern dance and ballet backgrounds that they could bring to a collaborative creative process. Then she brought out Tango Mujer star Brigitta Winkler to teach a private workshop, and Tango Con*Fusion was born. 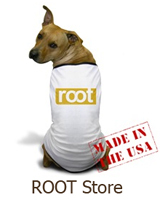 root's new focus will be taking you home to Africa! We'll be talking all about West African and Sub-Saharan dance and music; the energy, traditions, and rising popularity. Stepping is a unique dance tradition created by African American college students. 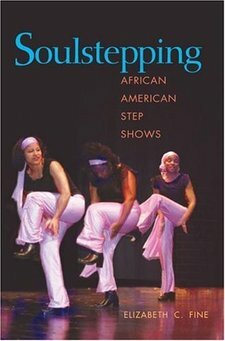 In stepping, the body is used as an instrument to create intricate rhythms and sounds through a combination of footsteps, claps and spoken word. The tradition grew out of the song and dance rituals practiced by historically African American fraternities and sororities in the early 1900s. Stepping comes from a long and rich tradition in African-based communities that use movement, words and sounds to communicate allegiance to a group. Contrary to popular opinion, the contemporary method of stepping is really a hybrid of both African and African American music and dance. Such an amalgam occurred as a result of African and African American dancers exchanging dance movements. While the author clearly implies that some stepping patterns may have been conscious adoptions of African dance patterns, it is more likely that the first immigrants and slaves modified them upon their arrival in the United States. 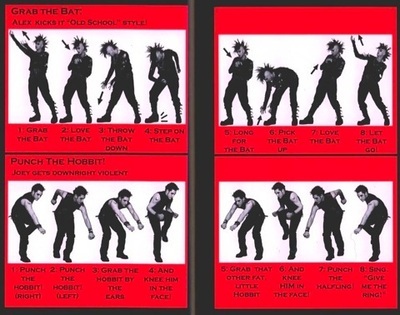 ......the percussive dominance where the stepper throws down a sharply percussive rhythm with the feet while the hands beat out a counter rhythm and the head enunciates another beat is one obvious characteristic present during step shows. ....... Such a routine has its origins in northern Zaire, Sudan, Zambia and Mozambique while the familiar "get down" position commonly observed when steppers often begin and end a step by bending deeply from the waist can be traced to many Central and West African cultures.